When you are in college, you cannot do full-fledged makeup. You can use only basic cosmetics like kajal, lip gloss and some awesome nail paints. I went through that phase! I was obsessed with nail paints and I owned shades from almost all the drugstore brands. Then I became lazy and gave up on nail paints. Now I'm back to my obsession of collecting nail paints in different hues. I recently picked up three shades from Faces. Today I will review a lovely pink shade called Ballerina. 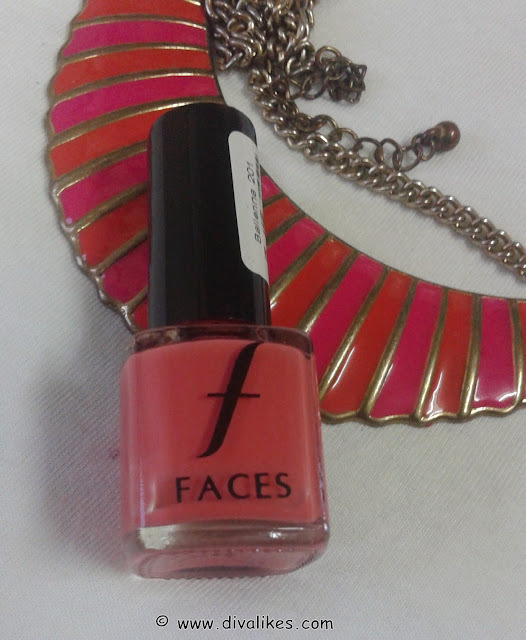 Read on to know my take on this pink nail color from Faces. High shine nail enamel. Faces Nail Enamel is a long lasting and chip resistant nail polish. It comes in a high shine finish formula that applies smoothly and lasts longer. Trendy colors brighten up your mood and keep up with the fashion mania. Flat brush delivers shiny, smooth color for a streak free professional finish. 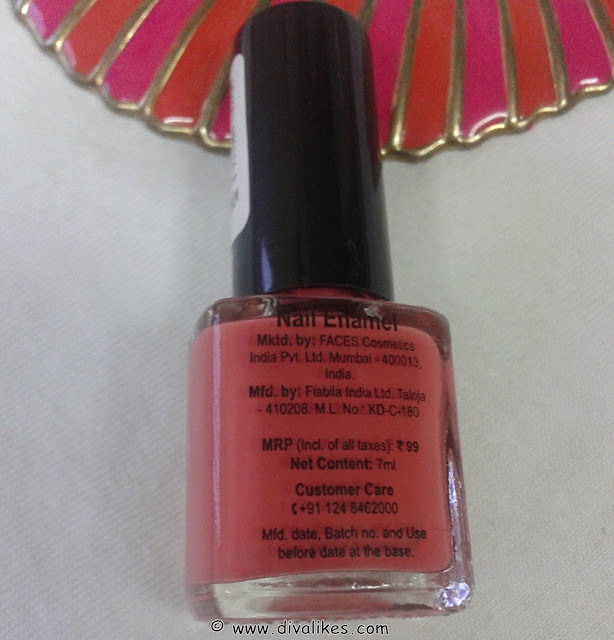 Faces Nail Enamel Ballerina comes in a sturdy glass bottle with a back screw on cap. The shade name is mentioned on the top of the cap. The brush size is slightly different than the usual nail paints I have used but that hasn't caused any problem while application. The actual shade is in sync with the name. Ballerina is a very feminine peachy pink shade. 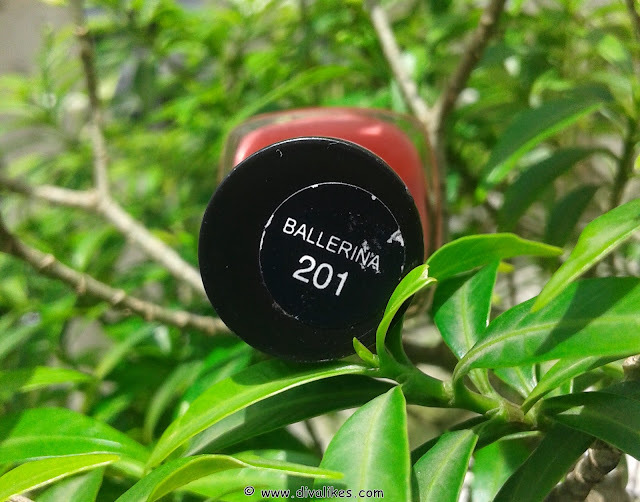 It is a lovely shade for everyday usage. The texture of this nail enamel is slightly thick but its application is very smooth. Two coats is all you need to get an opaque and even finish for your nails. After application, the nail enamel looks like a gel nail polish for first two days. It has a beautiful glossy finish which makes the nails look attractive. The nail enamel dries pretty soon. I'm actually very impatient and usually mess up my nail polish. I am glad I had no issues which this one. The color on the nails looks exactly as what you see in the bottle. Coming to its staying power, the nail color stays on my nails for about 4 days without chipping. After that, it starts chipping. Removing this shade is also very easy. It is not all messy and is easy to remove. I simply love this quality of the nail color. 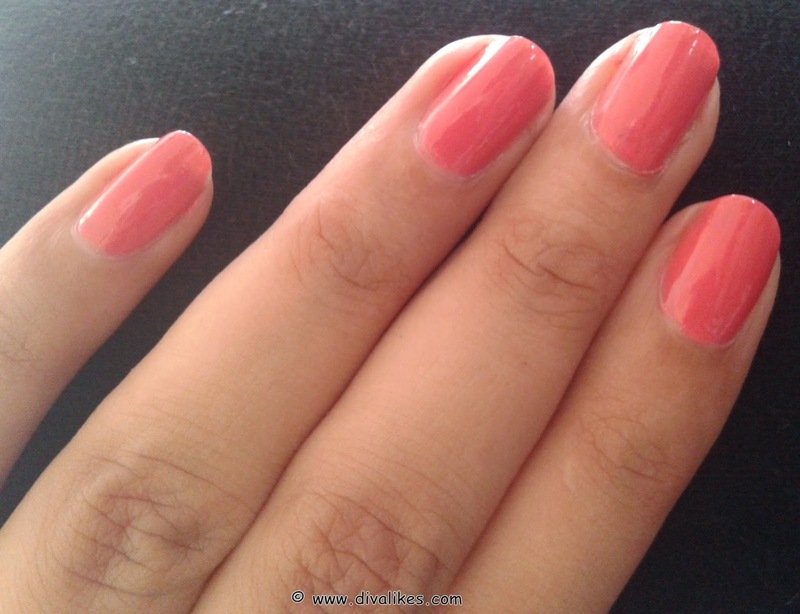 I am in love with this peachy pink shade and would suggest you to try it! Good for college or office going people. Fuss free removal without any stains. Gives opaque coverage in 2 coats. Gives a gel nail polish finish for a day or two. Glossy finish lasts only for a day or two. Starts chipping after 4 days. 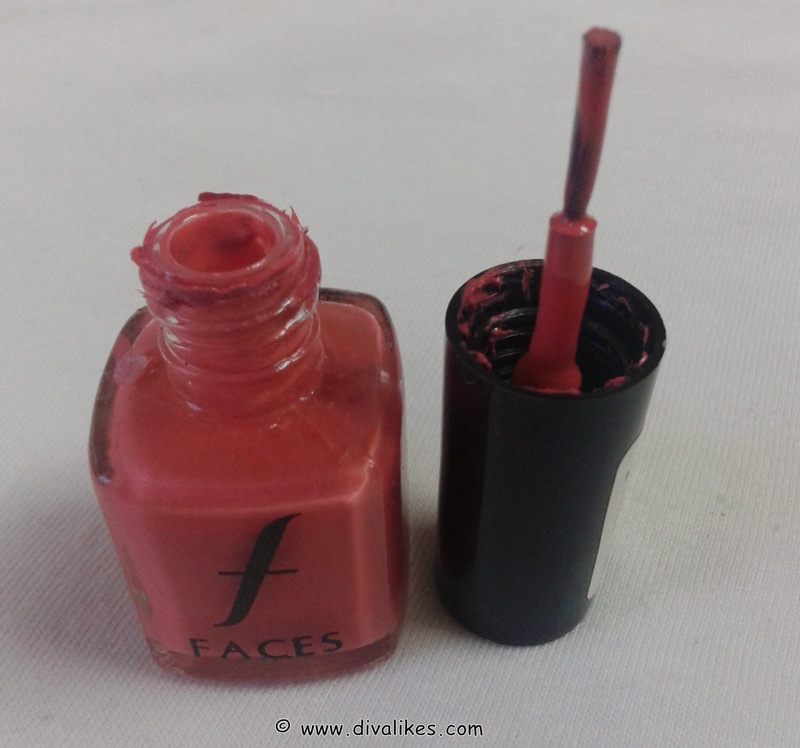 If you are on the lookout for a peachy pink shade for everyday usage, you can try Ballerina shade from Faces. It's a pretty unique shade and the price tag is also reasonable. This is such a pleasant shade...good for daily office or college as u said! Yes it is... I wear it pretty often for work! Nice color for casual wear.. Yes it is... not too bright but not too boring either! Oh Yes! 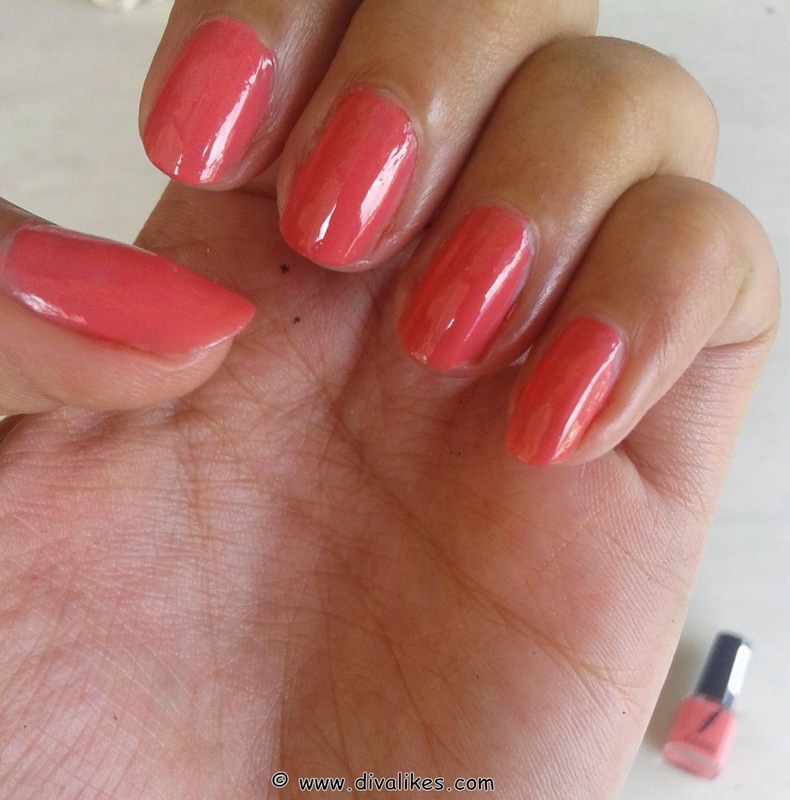 Its a very close dupe of coral crush.